Designed by Carolyn Kinder International, the Toledo Industrial Lamp features rust silver metal with matte black details. A 60 watt, antique-style bulb is included. The shade is rust silver metal. Available to trade professionals at Uttermost.com. 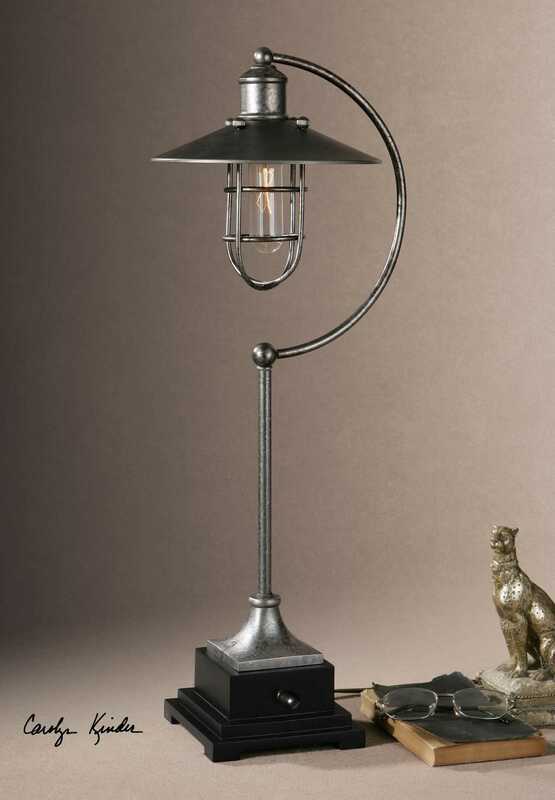 For retail purchase Google keyword “Carolyn Kinder Toledo Industrial Lamp”.